The craft beer revolution has been brewing for some time now. For years, small batch brews with big flavors have been slowly eroding the overwhelming market share long held by Anheuser Busch (AB-InBev), MillerCoors, and other major beer distributors. The craft beer movement may have emanated on the West Coast, but its immense popularity has caused a nationwide microbrewey explosion, including a multitude of ones brewing their own beer right in our backyard. 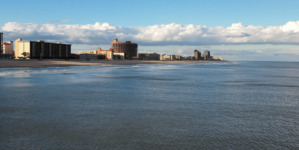 Ocean City, Maryland is no longer just the premier vacation resort on the eastern seaboard; it stands on the final frontier of a national revolution and is rapidly asserting itself as one of the most prominent craft beer destinations on the East Coast. If you’re looking for craft beer, you’ve come to the right place. 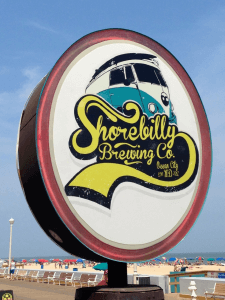 You are about to embark on virtual tour of 9 unique breweries from Ocean City and the surrounding area that offer some of the best local beer available anywhere in the country. From easily drinkable, beach-inspired light brews, to heavily-hopped IPAs, to robust stouts and porters, the breweries of the lower Eastern Shore offer a wide range of styles and flavors that will keep you coming back for tastings, even after the sun has set on the summer season. 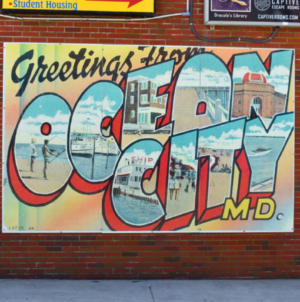 Ocean City Brewing Company– 56th Street and Coastal Highway, Ocean City- The face of the Ocean City brewery scene changed forever in June 2014 when the Ocean City Brewing Co. opened its doors. Occupying the longtime Adkin’s building, OC Brewing makes use of every square inch of the massive warehouse for its impressive operation that features an enormous array of craft beer- the majority of which are brewed in plain view of the customers drinking them. Ocean City Brewing prides itself on having beers for every taste. OC Light, Route 50 Pale Ale, Kraken IPA, Stare Back Porter, and OC Lager- OC’s only locally made lager- are just a few of the unique brews you will find at OC Brewing Co. Accompanying its wide selection of beers is a state of the art kitchen dishing out local favorites and pub food, a 220 seat restaurant and taproom with communal Oktoberfest-style tables for making new friends, and a gift shop where you can grab growlers and gear to go. 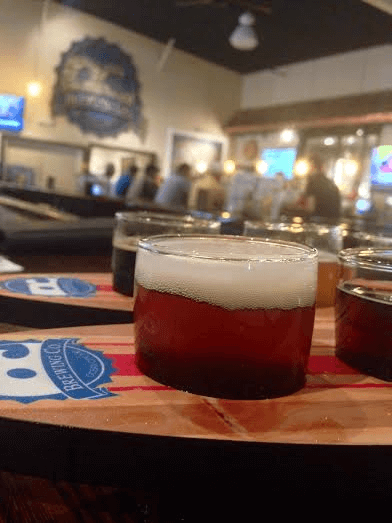 OC Brewing offers brewery tours daily at 11am, 1pm, ans 3pm and releases new beers and special experimentals each week, so make sure you stop by to taste the face of the Ocean City craft beer family for yourself. Burley Oak Brewing Company, 10016 Old Ocean City Blvd, Berlin- Nestled in Downtown Berlin, just a short drive from Ocean City, you will find a local brewery that embodies the very essence of what craft beer is all about. 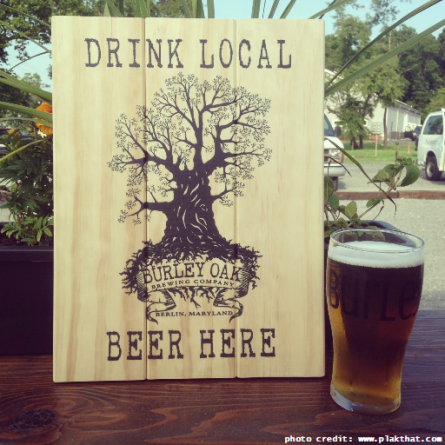 Burley Oak Brewing Company was created by people who love beer, for people who love beer. Owner Bryan Bushmiller, who can more times than not be found pouring pints and conversing with customers, sources the majority of his ingredients from local farms with sustainable business practices, so Burley’s beers are as fresh and high quality as you can buy. Because of Burley Oak’s combination of new and traditional brewing methods and flavor profiles, its beers are also as inventive and unusual as any you will find. The tasting room is a no frills place with a laid back atmosphere that doesn’t distract you from the reason you’re there: to drink good beer with good people. Be warned, Burley is all about distinctive beers with unique flavors that push the envelope, so if you’re looking for watered down, generic brews, look elsewhere. If you are a craft beer fanatic who wants something different and delicious, however, a trip to Burley Oak is an absolute must. Evolution Craft Brewing Company, 201 E Vine St, Salisbury- In 2009 Tom and John Knorr, of Southern Boys Concepts, took over an abandoned grocery store in Delmar with the intent of turning it into a successful brewery that would not only produce good beer, but would evolve the very nature of what beer can be. Their vision was met with quick success and the immense popularity of their beers and demand for distribution of them forced the Knorr brothers to relocate their brewery to handle larger operations much earlier than anticipated. But merely relocating is not evolving, so rather than simply move their facilities, the Southern Boys decided to push the envelope and expand. In pursuing their 6th restaurant venture, they jumped at an opportunity to occupy an old warehouse across from PRMC hospital in Salisbury, which became the new home for their brewery, as well as a brand new brew pub and tasting room for samplings and growler refills. The Brothers Knorr teamed with James Beard Award winning Chef Robin Haas to create the concept and menu for their new urban style brew pub, which is unlike anything the area has ever seen. The result is a gorgeous restaurant with separate tasting room that both serve fabulous local, seasonal food menus, seven unique mainline brews, four seasonal beers, and numerous small batch series’ and experimental creations. The combination of excellent atmosphere, spectacular service, farm fresh food, and creative craft brews makes eVo a crowning achievement of the Eastern Shore craft beer experience, and well worth the stop on your way to or from the beach. 3rd Wave Brewing Company, 501 N. Bi-State Blvd. Delmar, DE- Just across the MD-DE line, in the very same building where Tom and John Knorr’s brewery dreams became a reality, a homebrewer turned entrepreneur is now chasing her dreams of her own. Lori Clough has been creating her own unique recipes and brewing her own creative beers under the label of the 3rd Wave Brewing Company for family and friends for years. It wasn’t until the spring of 2012; however, that she had the opportunity to relocate her operation from her home to the onetime home of Evolution Craft Brewing Company. Now, 3rd Wave Brewing Company features inventive, locally inspired brews crafted with fine local ingredients. Drop by 3rd Wave for a taste of “Good Friends, Good Waves, and Good Beer” any time of year. 3rd Wave’s motto, “good friends, good waves, and good beer” echoes the sentiments of what breweries at the beach are all about, making it the perfect conclusion to your craft beer excursion. Assawoman Bay Brewing, 45th St Village, Ocean City- The 45th St. Taphouse has been pouring pints of the area’s best beers since it opened in 2012, but the owners wanted to take their craft beer venture one step further by brewing their own in 2014. To help make the new brewery a success, Jason Weissberg, formally of Dog Fish Head, was hired to oversee operations at the state-of-the-art facility, which is scenically located on the shores of the Assawoman Bay. 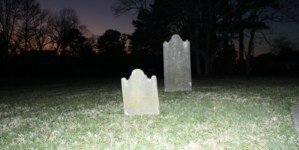 (named by the Algonquin Indians who once called the area home). Ocean City’s newest brewery not only boasts one of the most spectacular views in the history of microbrews, but also an impressive lineup of beers to match. The accompanying Shallow Waters Brewpub rounds out a uniquely Easter Shore experience that craft beer lovers from all over do not want to miss. 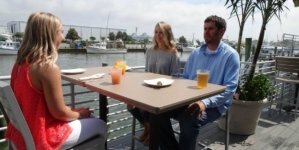 Backshore Brewing Company (formerly Shorebilly), 10th St and the Boardwalk, Ocean City– Was there any place more fitting for Ocean City’s first brewery than along the Boardwalk overlooking the Atlantic Ocean? We think not. Longtime Hammerhead’s owner Danny Robinson shared the same sentiment when he, seeing a rapidly expanding market to tap into, opened Backshore Brewing Company in the spring of 2013. Because of Backshore’s location, where foot traffic is at a maximum in-season, owner Robinson knows his brews are many people’s first experience with craft beer. His goal is to make the transition from mass produced beer to hand crafted ones easier by offering highly drinkable brews that won’t scare away potential craft beer converts, but are creative enough to entice the most adventurous beer connoisseurs. Backshore offers two signature styles of suds all the time, ‘Four Ten’ Kolsch and ‘Downtown Sugar’ Brown Ale, but, because of its “nano” size, has the luxury to constantly experiment with new flavors and styles with less risk than larger breweries brewing larger batches. “You can’t come up with anything fun without taking risks,” says Robinson. And, if it’s not perfectly obvious by the colorfully painted VW bus out front, the gorgeous patio overlooking the ocean, or the funky, locally inspired décor, fun is what Backshore is all about. Fin City Brewing Company, 12913 Ocean Gateway, Ocean City- Just across the Route 50 Bridge in West OceanCity you can find the town’s original brewing company housed inside of Hooper’s Crab House. Hooper’s has been celebrating craft beers at their annual Brews on the Beach beer festival since 2008, but in the second year of the competition management was approached by a prize-winning local homebrewer about creating their own ales to pair with their steamed Maryland crabs. The idea was an instant hit and, after an off-season of hand assembling their brewing system in a West OC garage, and almost a year of acquiring permits, The Fin City Brewing Company began cranking out its “obscenely fresh handcrafted ales” in April of 2012. Now, Brewmaster Vince Wright and company proudly serve 5 unique brews that go great with crabs, as well as additional experimental variations when time and space allow. Hooper’s puts a built in clientele at Fin City’s disposal, so the goal from day 1 was to create beers that would not only pair well with crabs, but pull people away from their everyday light beers. “Why drink a Coors Light when you can have a local brew,” questions manager Patrick Brady. We are still waiting for someone to produce a good answer. While you’re thinking it over, grab a Fin Light, Sneaky Wheat, Jack Spot Amber, White Marlin Pale Ale, or In Shore IPA from Fin City and taste the beach, not the Rockies. Tall Tales Brewing Company, 6929 Heron Grove Ct, Parsonsburg- Right off of Route 50 between Ocean City and nearby Salisbury is a place where fairy tales and mythical legends come to life. Or at least you will believe they do after indulging in enough folklore-inspired handcrafted beers at Tall Tales Brewery. Tall Tales has been serving up pints, flights, and growlers of their own takes on craft brews, as well as a made from scratch menu, since opening in October of 2012. Sasquatch Imperial Stout, Excalibur IPA, Paul Bunyan Pale Ale, and Redheaded Step Child are just a few of Tall Tales unique offerings that blend traditions of folklore with real life flavor. Stop by today and enjoy some adult beverages that are sure to make you feel like a kid again. We want to take this opportunity to let you know how much we enjoyed chatting with all the brewers and restaurants at the Ocean City Convention center earlier this week. It was a welcome reunion with old friends and a great opportunity to meet new friends. Jack Schacter has been talking to customers about the AC Beverage alliance with the Pegas growler filling systems. This offers a new stream of revenue that enables brewers and bars alike to serve a quality Growler with a great shelf life. Most customers are appreciative of the idea that they can now take home more than one of your finely crafted brews and feel confident they can enjoy them at a future date without concern of oxidation. For additional information on the Growler Filler acbeverage.com/node/163. The Cellarstream acbeverage.com/node/31 has taken on a new life. The Cellarstream is designed for in-line carbonation and nitrogenation. It can take initially flat beer of all styles including cask and dispense a perfect pint every time. The Cellarstream works with a serving vessel, keg, or firkin feed. We are happy to announce AC Beverage has developed a keg filling panel which also has the ability to Nitrogenate any or all of your products . Our “Three Way” Beer unit is a big hit and will allow you to serve a single Firkin in three formats. Cask conditioned, Nitrogenated or with CO2/Nitrogen blend. In addition to our product lines we offer design and installation of beer dispense systems throughout the United States. 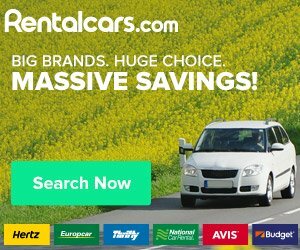 Please check out our website acbeverage.com to see additional information on these products and view other products/services we offer. If you have any questions or if you are interested in pricing, feel free to contact Jack 443-497-2131 or myself. Once again it was a pleasure seeing everyone at the show and best wishes of a prosperous season ahead!